With Apple widely expected to unveil a new iPhone line-up in the coming months, it’s somewhat inevitable that the price-drops on the current-gen models will ensue, and Walmart has kicked things off by offering the flagship iPhone 5s (16GB) for a cut-price $99. The price, which takes into consideration the signing of a two-year contract, is the cheapest you’ll find at this moment in time for a subsidized iPhone 5s, and with the iPhone 5c also dropping to $29 on a 24-month package, both of Apple’s most recent handsets can be snapped up at a discounted rate. The price-cut is great for those who just want a smartphone and aren’t concerned about being in ownership of the latest and greatest, but if you do like to keep up with the most recent products, then you might wish to hold off and wait for the impending iPhone 6. The device, which is set to become considerably larger as part of a radical redesign, is said to be teetering on the brink of production, and with a September 19th release date having been offered by two independent sources now, it’s a question of whether you can resist the temptation and wait it out for another three months. The shelf-life of the smartphone is no more than a year in this day and age, so technically speaking, the iPhone 5s still has one quarter of its lifespan remaining. 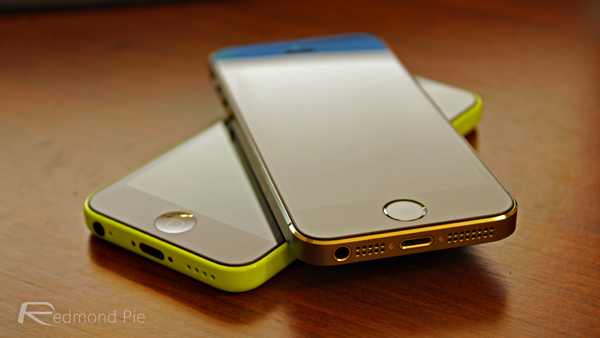 If you want to save even more money, the iPhone 5c may be the more appropriate option, and given that the polycarbonate-clad handset is expected to be discontinued later on this year, those of you considering the colorful, more rounded profile of the lower-end model should look to capitalize on the $29 offer from Walmart. The current offer, which brings a $50 saving on the iPhone 5s and a $20 discount on the 5c, applies to the 16GB model, although according to reports, the 32GB edition will also be subject to an as-yet unverified price decrease. Given that the next-gen iPhone – allegedly arriving in 4.7 and 5.5-inch variants – will likely represent the biggest single jump in versions since the device first hit the scene in 2007, we’d recommend holding off and waiting for the announcement around September. However, if you’re not a fan of larger smartphones, investing in the iPhone 5s / 5c would be a wise move, and although the new pricing is permanent, you will have to head down to a Walmart store in order to take advantage.